21 Day Stretch Challenge! Check out this awesome challenge to get you to S-T-R-E-T-C-H!! 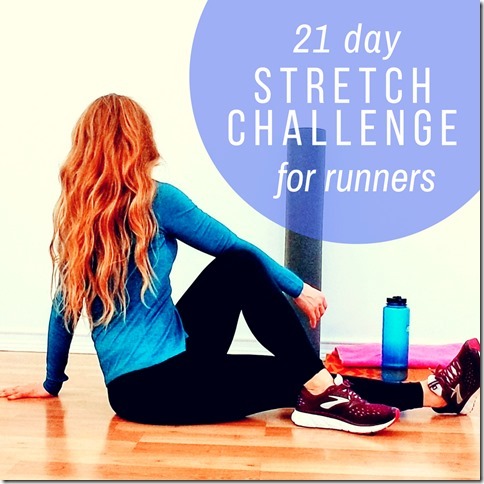 What is the 21 Day Stretch Challenge? Just 1 minute a day! Once a week – do every stretch from that week. Sign up below and the calendar to stay on track. PLUS – A daily LIVE video in case you have questions. I just saw your post about having had so many people tell you that they had great races this weekend. Well, I did not. I showed up to the Wisconsin marathon (half) thinking that I’d trained strong through the winter and that this could be it, that elusive half-marathon PR I’ve been chasing for months! Well, not so much. It ended up being 86 degrees and sunny. Our Chicago spring weather has been hovering in the 40s and 50s, so I haven’t had the chance to run in he heat since last summer. I fell apart, and it wasn’t pretty. I’m so disappointed. 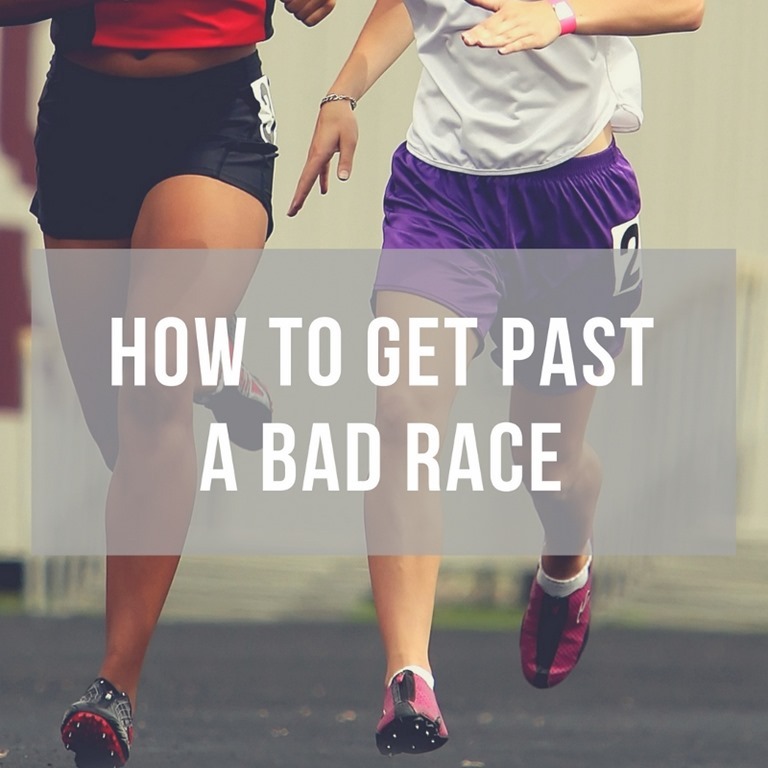 How do you bounce back from a terrible race? Physically, emotionally…. How do you shake it off and move past the disappointment to get back to training for whatever is next? Review the race with gentle curiosity. Think about it like you are studying the habits of this runner (you). Don’t judge yourself. Collect whatever information is helpful… weather, fuel, elevation, health, etc. 3. Identify 3 things you did well and 3 things you did not do well. Plan how you can work on the things that negatively impacted your race. Incorporate this into your next training cycle. Be specific and realistic. 4. Give yourself a pep talk! This isn’t easy. Even the pros have bad races – it’s actually common for a pro to have a DNF. They don’t tax their body if it’s going to hurt more than help. So give yourself credit for what you did – training, showing up, trying, doing something scary, knowing when your body needed a break, etc. Do something that will help you move on. 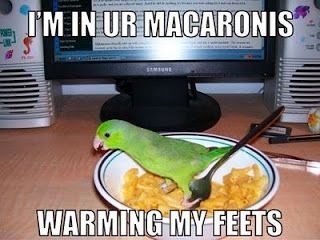 That can be whatever works for you. Or if you’re good at letting stuff go – it can be nothing. Talk it out. Identify how the bad race made you feel. Say it out loud to yourself if it helps. It’s okay to be upset. Write it down. Maybe even write down the list of things you need to work on and burn it (carefully!!!). Imagine yourself writing it on a wall and blasting it clean with a fire hose. Every time you start to beat yourself up or doubt your abilities tell yourself ‘Let it go’. Hey Monica, this is Marie… I’m from the @TheLazyW in Oklahoma, and you helped me so much over the years. My question is almost vanity question, but actually it’s functional too. 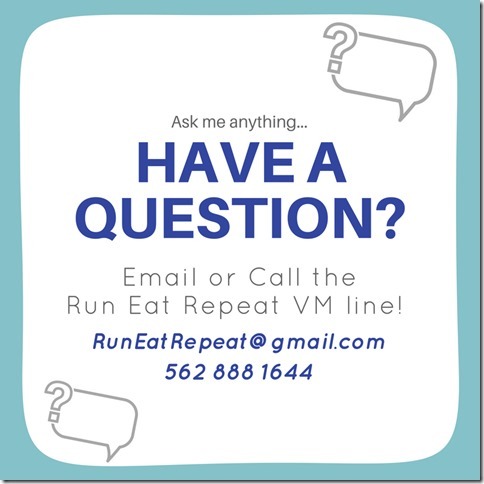 I feel like I’ve learned so much about my physiology and nutrition to make me run better and make running more fun. 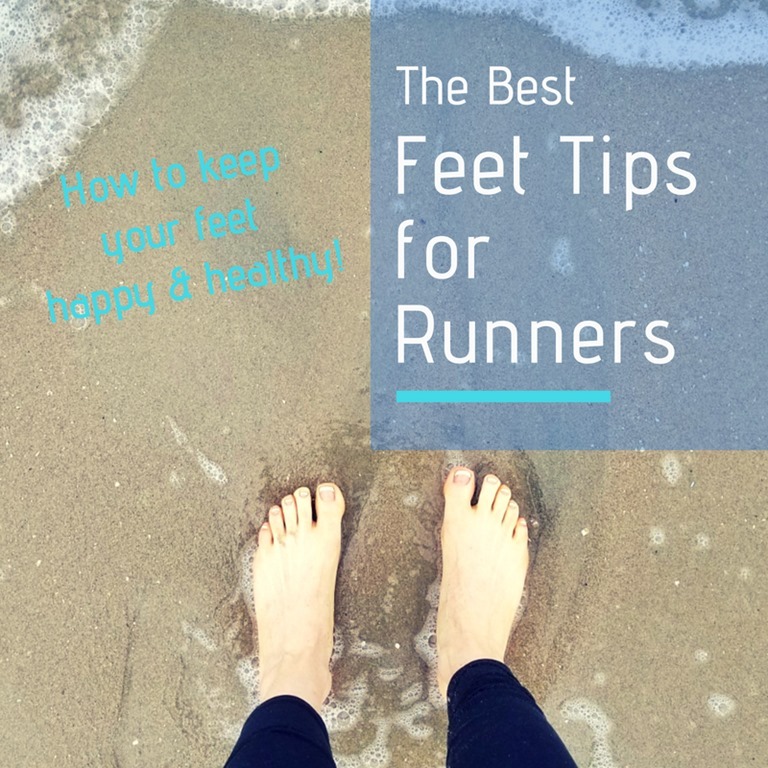 But I feel like the more that I run the worse condition my feet are in not only that they’re not that pretty but there are many days when I feel like I could do more – like the rest of me feels strong and energetic but my feet hurt. It’s the actual skin and soft tissue that hurt. 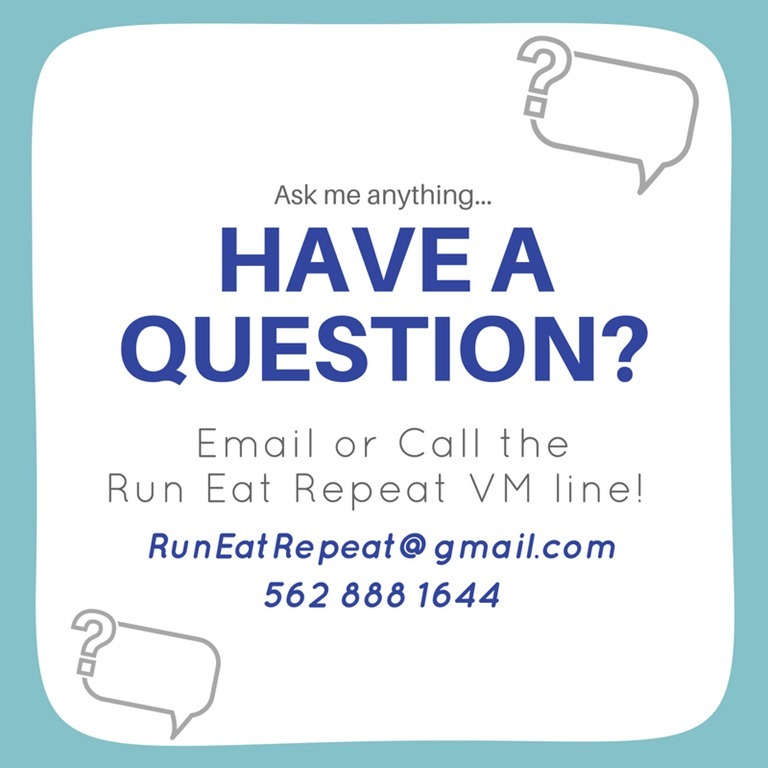 So I would love tips and ideas of how runners to do this long term. 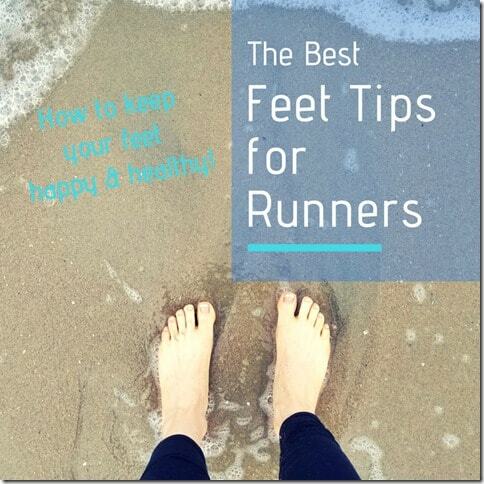 How do runners care for their feet? Thank you. Hope you’re having an awesome day. Bye. Make sure you have the right shoes and socks for running. Wear quality shoes when you’re not running. This means quality supportive shoes that don’t cause any unnecessary strain on your feet . Put your feet up after a run. If you can’t do this use compression gear. Soak your feet in Epsom salts. There are also special lotions that have pain relief properties. Use a trigger point or massage tool for your feet. There are also toe spacers that help stretch your feet and feel good. Give yourself time in between running and other activities that you’re going to be on your feet a lot. Compression Socks – I love ProCompression socks … I don’t use the sleeves. Sandals on a Yoga Mat – Sanuk Sandals are magic. They are basically walking on a yoga mat. Love. I love these Gladiator Style Sandals and if I wear flip-flops they’re Sanuk Flip Flops. 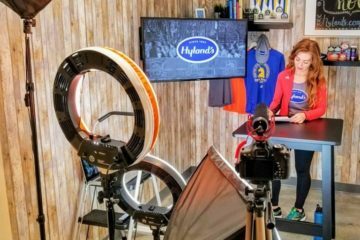 Hyland’s Leg Cramp Relief Lotion – Hyland’s has great Leg Cramp lotion and a few can be used on your feet too. Hyland’s Arnica spray or tablets – Arnica is another homeopathic option for pain relief. Foot mat with trigger point therapy – I love this but it could be painful, especially if you have sensitive feet. I like the tingly feeling but use carefully. Get a pedicure or do a Home Pedicure with a Foot Spa like this. 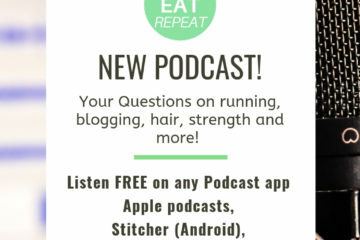 And don’t forget to share what you’re doing while you listen and tag @RunEatRepeat on Instagram! Like @Kaysee_dubya who was doing a trail run while listening! Hi Monica! I want to be in the stretch challenge but it wouldn’t let me sign up when I clicked on the link. Please include me. I would like to print out the calendar, but don’t see it here. I assume you will email it.